Hi viewers, I am Neyna I am here to share my amazing experience with Morevisas. When it comes to Morevisas I must assert that they are very professional, friendly and helpful. 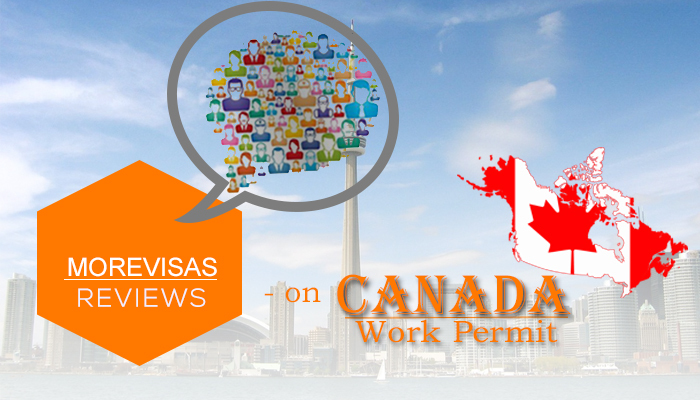 I applied for Canada work permit through Morevisas since I don’t know the exact process of immigration I approached Morevisas in order to know the exact process for applying a work permit visa for Canada. There I challenged a wonderful involvement of all the staff; they are very kind and helpful and helped me out with the process step-by-step right till the end. The main thing I should appreciate about them is their timely reminders and follow up’s are their ever best qualities, which always keeps them top most. I myself a postgraduate from one of the reputed universities in Delhi and my dream passion is to migrate to Canada and work for a short while. I have only a brief idea about the steps to be followed to acknowledge the necessary documentation I wanted to be guided by some people who can assist me in completing the entire process. There are plenty immigration consultancies across India, but I liked to prefer Morevisas for its quality of service. And also one of my friends has already gained the fruitful benefits. They are well known for their humbleness and their conduct towards customers. Following my concerns they started explaining me about the actual procedure step-by-step in a detailed way and ensured me for getting a work permit for Canada once I am clear about all my documents. They clarified me all the doubts I had. They also showed me the short view about the place and how things go there and all. I was very much impressed by their show and anticipated to be there as soon as possible. One of the experts of Morevisas gave me a clear idea about the different types of visas available for Canada which I have no idea about them earlier. When I entrusted them completely, I felt absolutely stress less and confident about my trip, and happily started thinking over my packing. As a result of their deep passion towards work my visa was processed I felt very much happy and I am thankful to the entire team of Morevisas and appreciate them for their hard work and dedication towards their profession. Once again I must thank each and every member of Morevisas because this would not happen without their support. Finally, I received my visa for Canada. I wish the whole team of Morevisas all the best for their bright future, you made my dreams all the way come true. I can strongly recommend everyone to use Morevisas. It’s not just a review it’s my happiness that I am sharing. I got visa with the help of morevisas. Thanks you morevisas.. I was always looking to migrate to Canada, but don’t know the application process, Morevisas helped me in processing my visa and finally I got the visa. The morevisas process team gave proper guidance that helped us get the visa. Now I am in US. I would like to really appreciate the Morevisas immigration services. Morevisas complaints team guide and assist me my immigration process. Thanks you morevisas for given me Canada visa at right time. thanks a lot. Thanks morevisas..this is valuable information for me..my dream i want to go to canda for work..please suggest me how can i apply to visa? Nice..article. thank u morevisas for this information. My sister want to go to Canada so please tell me how can her apply to visa.